Get in touch with nature at Walking tours and Finke Gorge National Park. 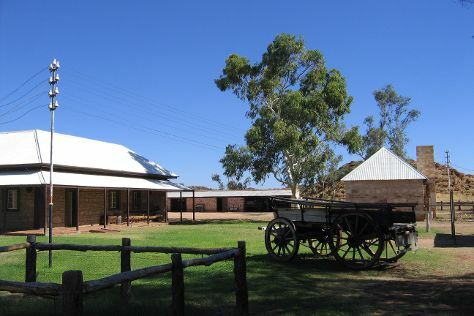 Get some cultural insight at Alice Springs Telegraph Station Historical Reserve and Alice Springs School of the Air Visitor Centre. Spend the 8th (Mon) exploring nature at Owen Springs Reserve. Next up on the itinerary: look for all kinds of wild species at Alice Springs Desert Park, get great views at Anzac Hill, explore the world behind art at Araluen Cultural Precinct, and get outside with Ellery Creek Big Hole. For photos, reviews, other places to visit, and tourist information, go to the Alice Springs trip planner . In July in Alice Springs, expect temperatures between 24°C during the day and 3°C at night. Cap off your sightseeing on the 9th (Tue) early enough to travel back home.